For multi day group trips on the Great Taste Trail, we can customise any of our standard itineraries if required. Booking early is highly recommended, as accommodation is limited in some villages. Accommodation styles are self-contained cabins in holiday parks, bed and breakfasts, motels and an Eco Resort in Kaiteriteri. We can help you with any particular requests regarding room configurations, shared or en suite bathrooms and recommendations for cafes and restaurants. Meal bookings and cafes and restaurants should be made in advance for groups and we can provide a list of venues on the trail. 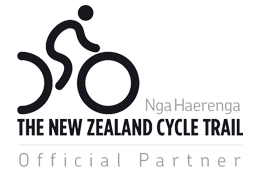 We can also book trips in the Abel Tasman National Park as part of the cycling itinerary. These Wilsons Abel Tasman trips can be either single day or multi day. Single day walking or kayaking trips depart from Kaiteriteri Beach at 9.20 am, returning 4.10 pm. Staying at Kaiteriteri the night before an Abel Tasman Park Day trip is recommended. Walking trips start at $82 and we will arrange your door-to-door transport back to Nelson after the trip. For multi day trips, guests stay in the Wilson's family beachfront lodges, walking or kayaking between the two lodges during the trip. Prices start at $1123 adult for a 3 day trip and the price includes all meals and transfers. Before we quote for your group, we will send you a list of information we will need from you. This will include the total number in the group, their heights, your starting date (preferably including a second option), and specific bike requirements such as for electric bikes and low step womens frames. At the time of quoting, we will put the accommodation on hold for you and let you know the details of the accommodation. Once the quote is accepted, we will then invoice the group organiser for the deposit of $100pp with the remainder due 30 days prior. In order to manage the tracking of all the individual components of the group booking, we cannot accept payment by individual members of the group. We can provide excess luggage storage and vehicle storage for no charge. 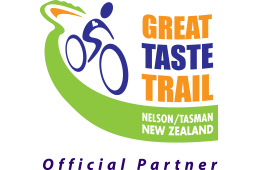 For single of half day group trips, we can help you organise a ride on the Great Taste Trail to suit your needs. By browsing the map on this page, you will see the location of the tasty venues on the trail. Pic's Peanut Butter factory, the World of Wearablearts and McCashins Brewery are all on the trail and are within 20 minutes of our base. The closest winery, Te Mania, is approximately 25 minutes cycling from our base. Some on-road cycling is required when visiting wineries. Many wineries are not open 7 days. When you arrive at your base on the day of your ride, we will brief the group before you leave and provide a detailed route map. Our bikes have tote boxes on the back suitable for carrying small bags and coats. An optional shuttle transfer from Nelson to our base is also available.